This is a typically red wine from central Tuscany exactly closer to Gaiole in Chianti Siena. This wine was part Itaians wine on Top 50 wines of the year 2013 from Decanter and ranked on the 43-rd position. 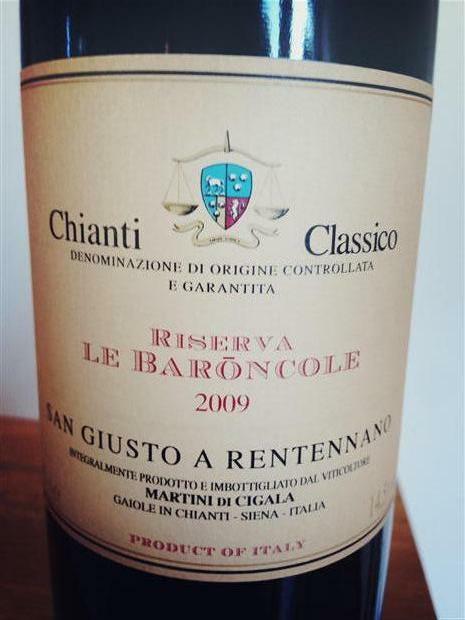 Chianti Classico Riserva Le Baroncole is made from 97% Sangiovese and 3% Canaiolo grapes. The initial stages of its production are the same as for our Chianti Classico. It is then aged in French oak barriques for a period which varies from 16 to 20 months, according to the vintage. It is bottled unfiltered and held for a further six months, before it is released. Le Baroncole is a wine of long ageing potential.